"Every hotel should use ResQ Club"
Many Scandic Hotels are using ResQ Club. They reduce food waste from both breakfast and lunch buffets. 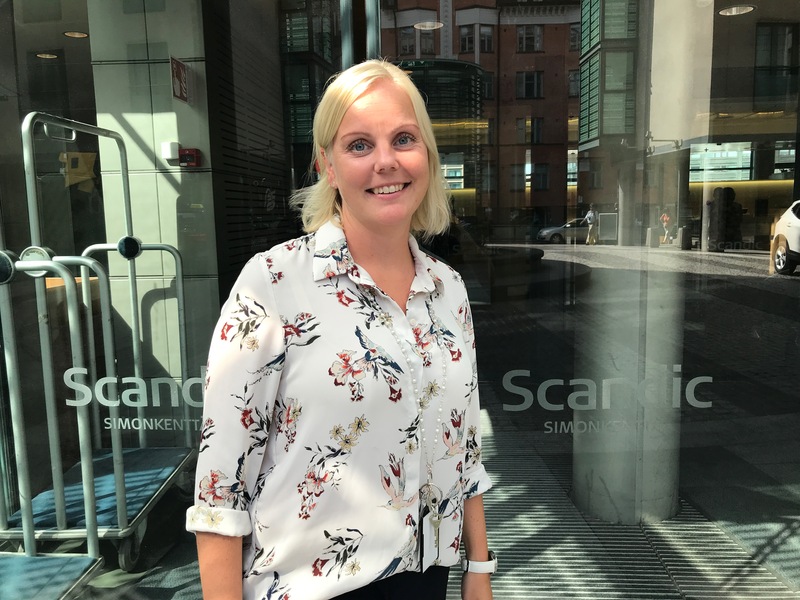 Read below what F&B Manager Elina Korkka has to say about ResQ Club helping Scandic Simonkenttä to become a zero waste hotel. We are a four-star hotel located in downtown Helsinki. We joined in ResQ Club in January 2018. Since then we have sold 250–300 surplus portions every month. That has brought us around one thousand euros of extra income every month. Even though we are a big hotel, it’s significant money for us. "ResQ is an amazing tool to reduce food waste and increase profits. Spending max 10 minutes on ResQ per day pays itself easily back"
Once the breakfast or lunch buffet is finished, our staff gathers the surplus food to biodegradable boxes. Depending on what’s left in the buffet, we assemble different boxes. For example, vegetarians can enjoy “vegetarian breakfast boxes”. The staff uses their mobile phones and publishing happens quickly by using ready-made offer templates. The food is stored in our reception’s fridge where customers can easily pick up the portions by showing the receipt. ResQ Club is so easy and quick to use that the whole process takes maximum 10 minutes. Our whole hotel has become fanatic about ResQ Club and we discuss every day about it. It’s easy to keep the personnel motivated to use ResQ Club as they are using it in their daily life, too – they don’t want to throw food away. Scandic has even rewarded our hotel personnel for significant contributions to financial performance through usage of ResQ Club. We will highly recommend ResQ Club to other hotels, too! ResQ turns the lost revenue from your unsold meals into an extra revenue stream by bringing in customers who pay real money for your surplus food. One sold meal brings on average 4 euros to your bank account – you'll do the math on what it means for your bottom line! 70% of our users have found new restaurants to dine in while using ResQ. Selling surplus food with us doesn't cannibalize your regular sales, as picking up ResQ food serves different user needs than lunch and á la carte dining. Following our best practices, you are likely to sell more than half of your surplus food with ResQ. Every portion sold and not thrown away reduces unnecessary emissions caused by food production and shows you care about the environment. Be one of the leading hotels and start turning your surplus into an opportunity!